Travel to France by ferry is the cheapest way to get to mainland Europe, you can take your car or motorhome and it can be great fun too. It can take as little as 80 minutes to take the short sea crossing over the channel from Dover to Calais, this the shortest route to France but there are in fact 13 different ferry routes between England and France. Ferry travel is becoming more popular than ever, with more modern, faster and comfortable ferries being introduced. With seven ferry operators competing for your business the prices have remained very competitive, so much so, that it can sometimes be more expensive to take your pet than the cost in taking yourselves plus a car, (more about taking your pet abroad below). However, with the advent of comparison websites, it is now far easier to find the cheapest ferries in one search rather than visiting each website individually. Dover to Calais – P&O Ferries, DFDS Seaways, and MyFerryLink – Crossing time from just 80 minutes. Dover to Dunkerque- DFDS Seaways (formerly Norfolkline) – Crossing time 2 hours. Portsmouth to Le Havre – Brittany Ferries operates a fast craft service to Le Havre during the summer season and LD Lines provides a daily service throughout the year on a conventional ferry. Portsmouth to Cherbourg – Brittany Ferries offer 1 sailing per day on their fast craft taking just 3 hours. Condor Ferries provide a weekly service on Sunday’s during the summer season on one of their conventional ferries taking 5 ½ hours. Poole to Cherbourg – Brittany Ferries operates this route from Mid-March until September daily, with a sailing time of 2 ¼ hours. Portsmouth to Caen – Brittany Ferries operates up to 3 crossings daily taking 6 hours. Portsmouth to St Malo – Brittany Ferries offer overnight sailings most days taking 9 hours. Poole to St Malo – Condor Ferries offer 5 sailings a week taking 7 ¾ hours. 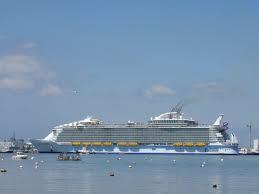 Weymouth to St Malo – Condor Ferries provide up to 7 sailings a week taking 5 ¾ hours. Plymouth to Roscoff – Brittany Ferries runs one-two sailings each day taking 6 – 8 hours. Use a comparison website to compare the best prices and travel times. Consider your sailing times, can you be flexible since traveling during the night or mid-week can make a considerable difference to the cost. Book in advance, as generally the price increases the nearer to departure date. Look at alternative ports which may save you money by having less driving to do at either end of your journey. Share your car with family and friends, often the price for ferry travel, especially on the short sea crossings will be up to 9 people, so splitting the cost could make great savings. Look at the short break options, there are often more favorable prices for short breaks of 3 or 5 days. With the Pet Passport Scheme now in operation, it is easier to take your pet abroad with you and since you will have your car why not. If taking your dog or cat with you on the short sea crossings, it is simple, the pet stays in the vehicle for the duration of the journey and you just need to make sure you have arranged for your pet to have a pet passport. For more details of what is involved, what vaccinations are required and how to apply to check out the DEFRA website. For the longer journeys most ferry operator’s supply kennels which will need to be pre-booked. We would strongly suggest you book as far in advance as possible due to the limited number of kennels on each vessel. You may also be required to have a muzzle for your dog, whatever its size. You will be required to arrive at the port at least 1 hour before departure on short sea crossings and 90 minutes before on the longer crossings. Always make sure you have lots of water for your family pet and leave the windows ajar to make sure that the car does not get too hot.